You can archive old or unused send addresses to help you manage your send addresses that are active or commonly used by you. 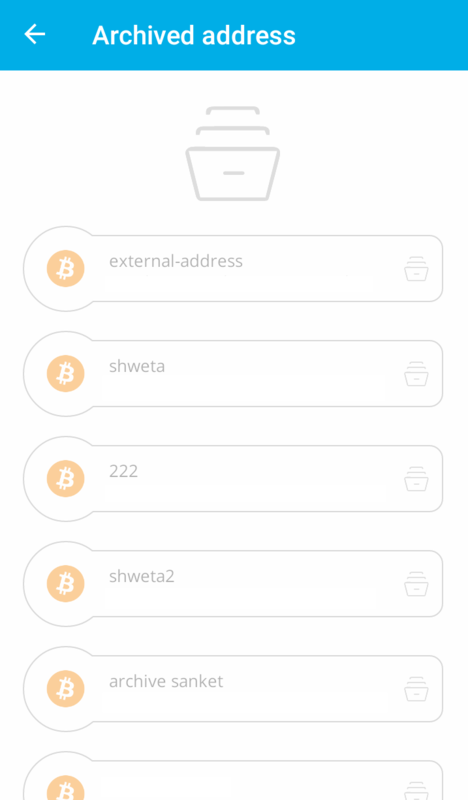 You can archive whitelisted and non-whitelisted addresses. Please note: Exercise caution before archiving any address as this process cannot be undone. 1. 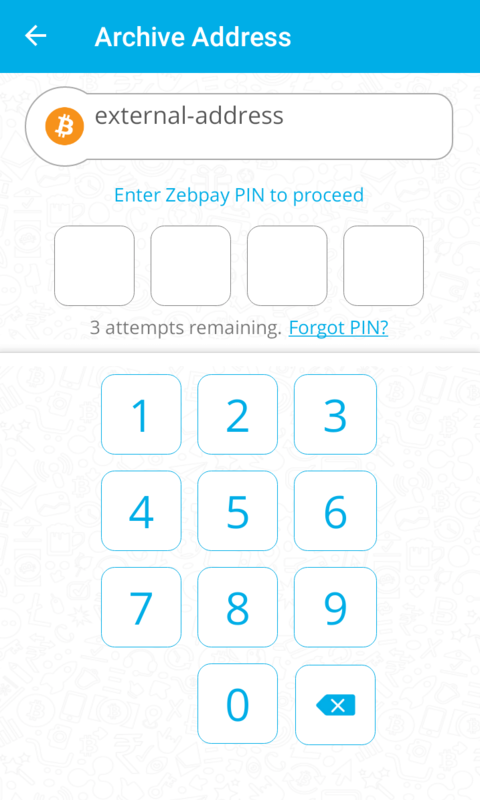 Select the cryptocurrency and tap on Send. 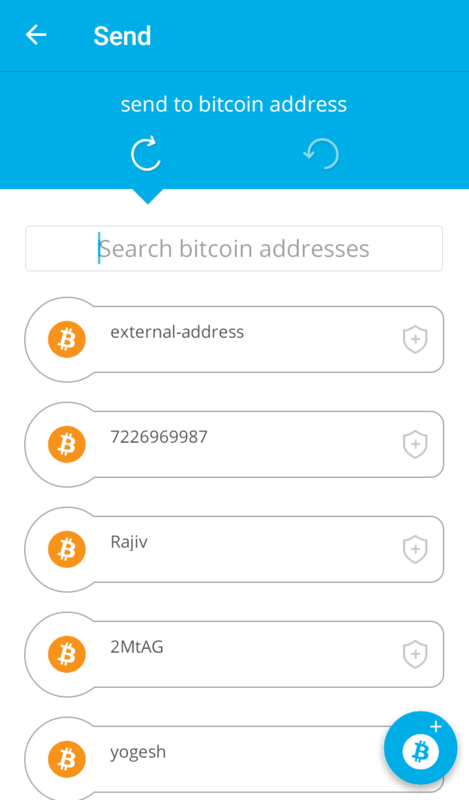 You will be able to see all the addresses on the list. 2. 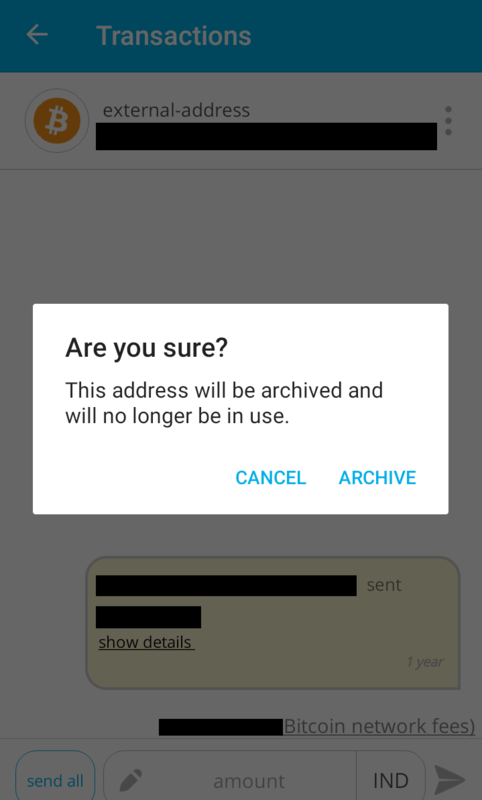 Tap on the address you want to archive. Tap on the "three dots" to the right side of the address, and select the option Archive. 3. Here's another way to quickly archive: From the send screen, swipe the address you would like to archive to the left and you will get the Archive option. Tap on it to continue with the process of archiving. 4. 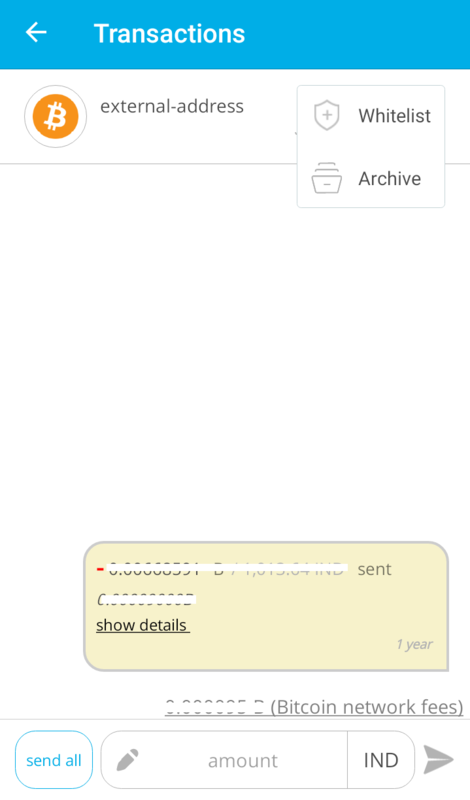 After clicking on Archive, confirm your action to archive the selected address. Please be sure before confirming, as you will not be able to undo the process. 5. Enter your account PIN to confirm. 6. You will receive a notification that the selected send address has been successfully archived. 7. At the bottom of the list of send addresses, you will be able to see the list of archived address. If you want to view the transaction history of the archived address, go to Archived address and select the address. 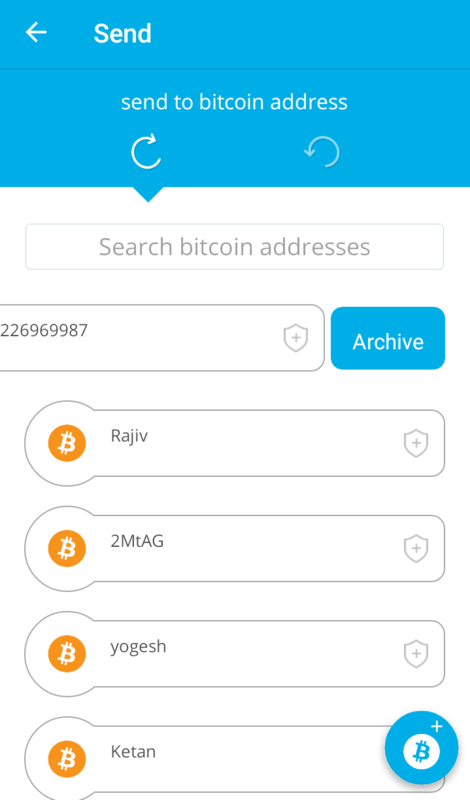 Tap on the archived address and you will be able to view the transaction history of this address.